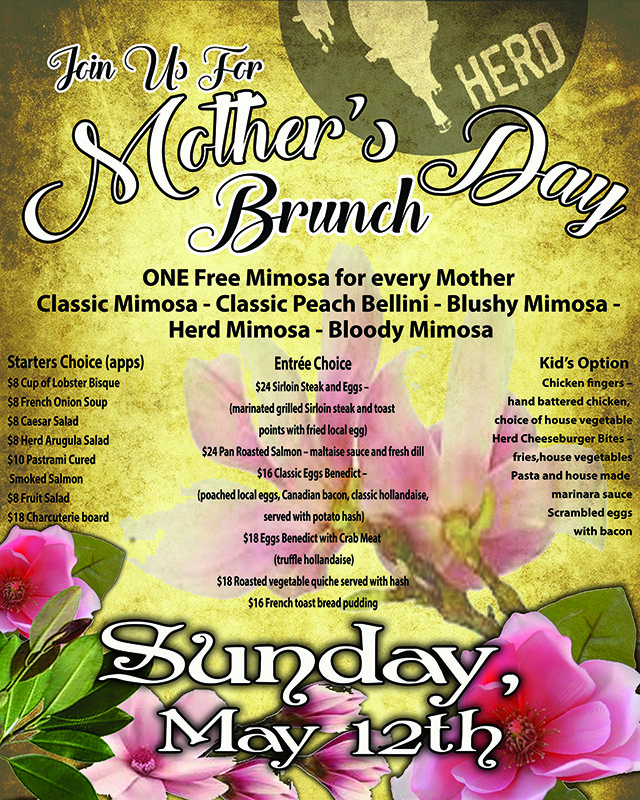 First Mimosas for each Mother is on the house. 3 different primals per course for a total of 3 courses. 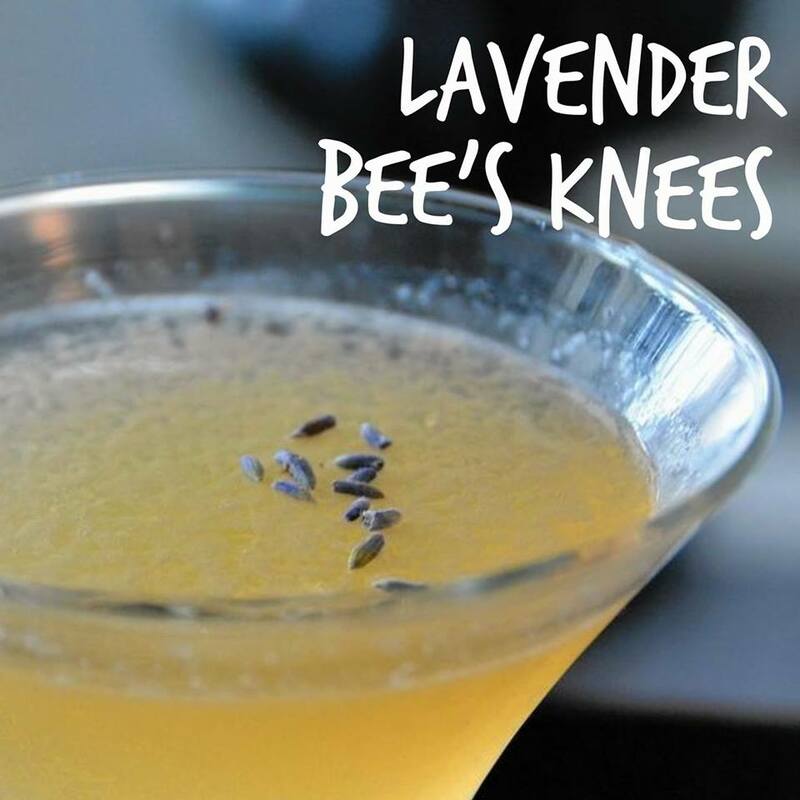 Each patron will receive two glasses of wine with their dinner. 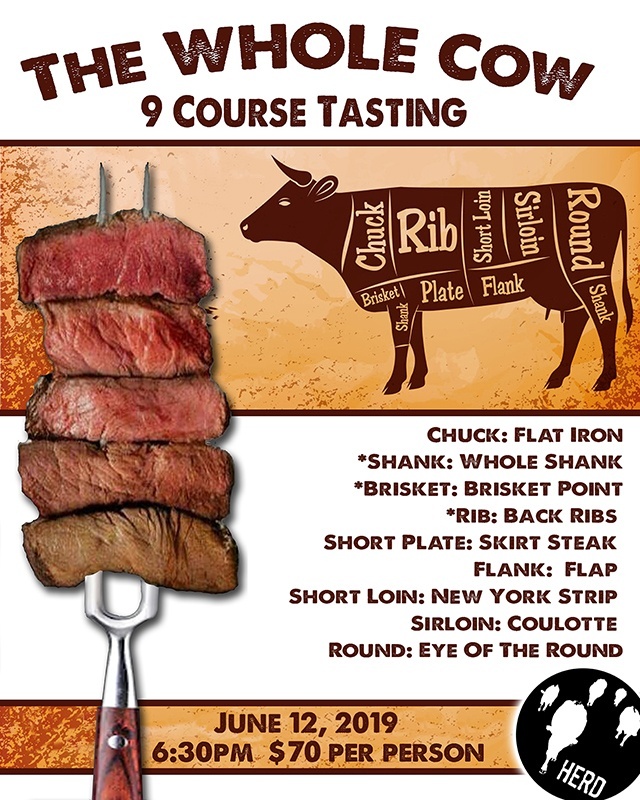 Below is the list of beef cuts, starting from the head and working down to the leg. Short Loin: New York Strip. 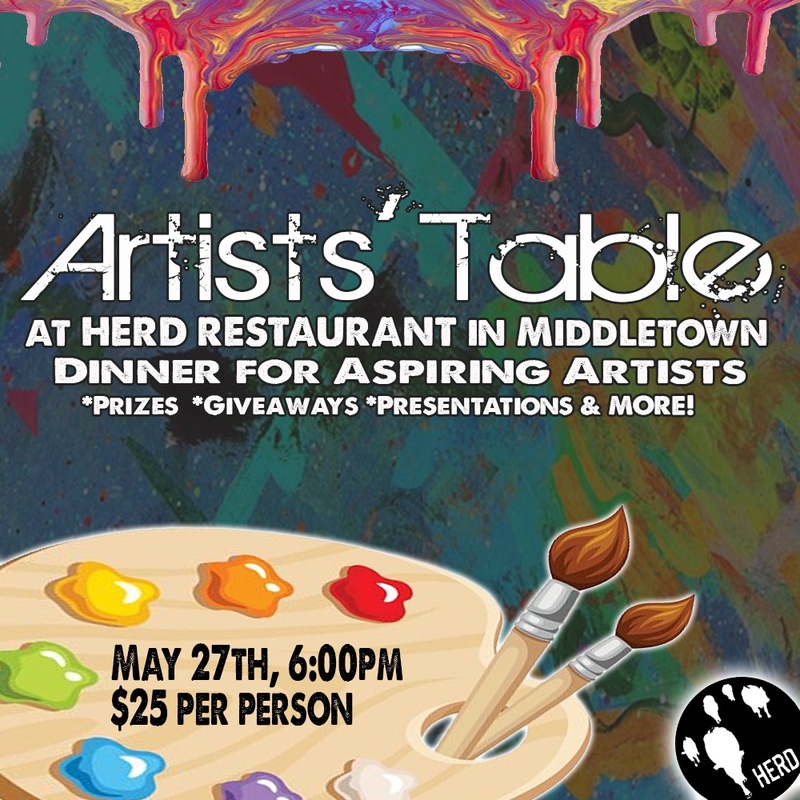 Artists Table is a fun night out where the community gets together to eat and drink in the celebration of creativity. I was inspired cause a lot of times growing up i had no funding to be creative. It wasn’t practical. My family didn’t support it and time was limited. Every artist has their own story and limitations. We all deserve the right to create and our goal is to give the artist the ability to create their best work. We would love to provide the resources for artists to produce and create from their passion! People., Helping. People. Create. How it works: Artists submits project of choice. A panel will pick the top three submission. At the dinner the top three artists will present to the group and the group will vote. Tickets are 25 dollars. 5 dollars go towards funding of project. There will be raffles and specials and entertainment. 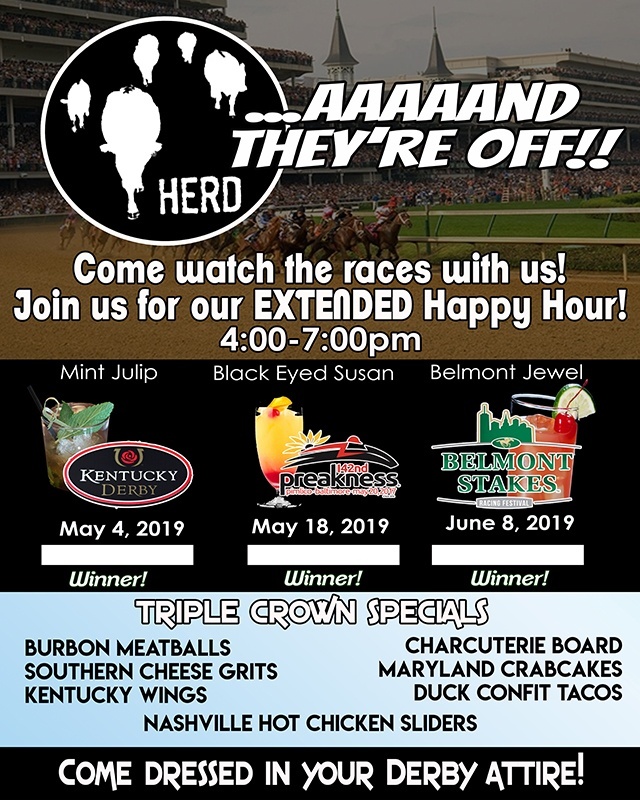 We at herd got together at the end of last year and decided to create a happy hour menu that was so tempting you would not be able to stay away. With our $5 Bar Bite happy hour we believe Chef Sergi has done just that. 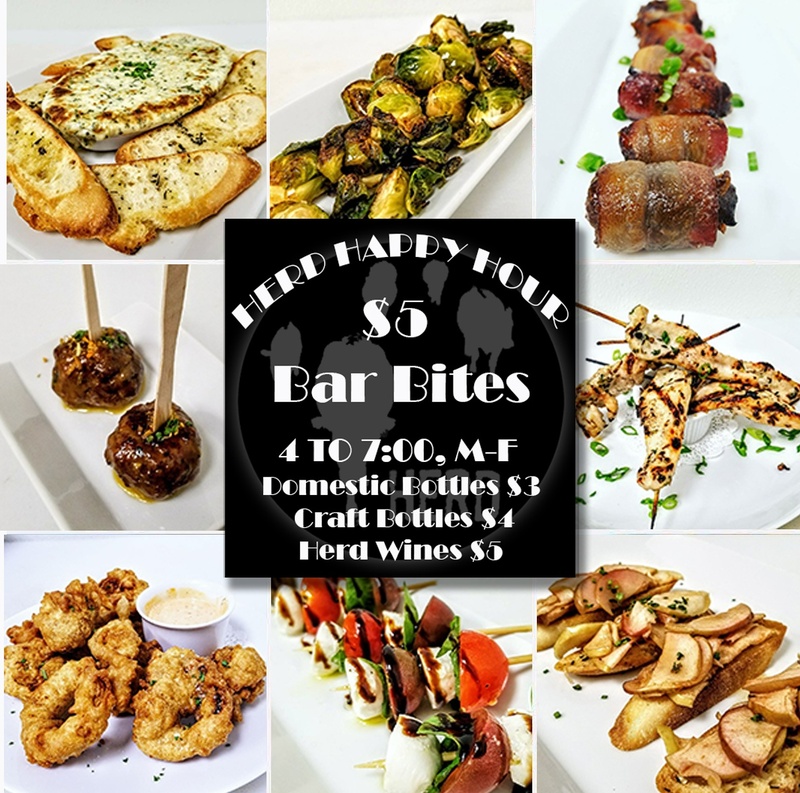 You can now come into the bar side and try some of Chef Sergi’s amazing dishes for only $5! 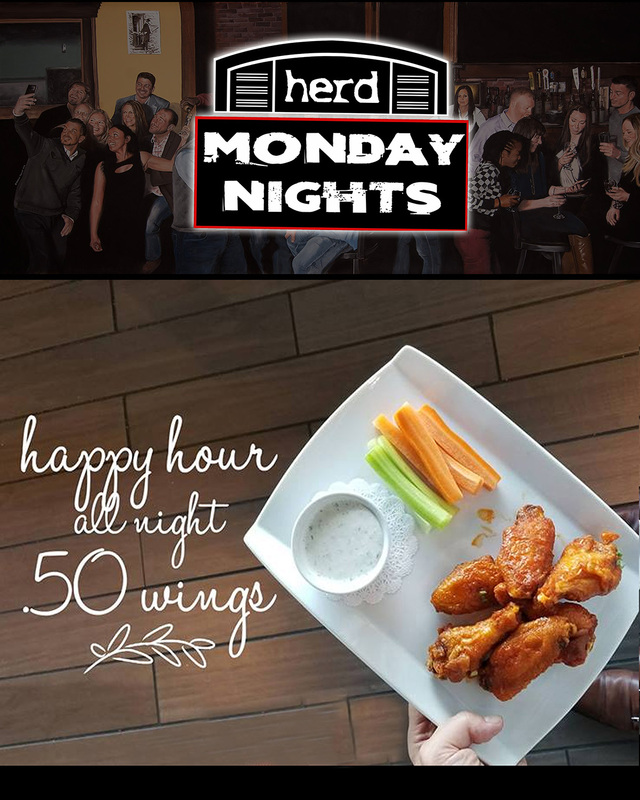 50 cent wings every Monday! 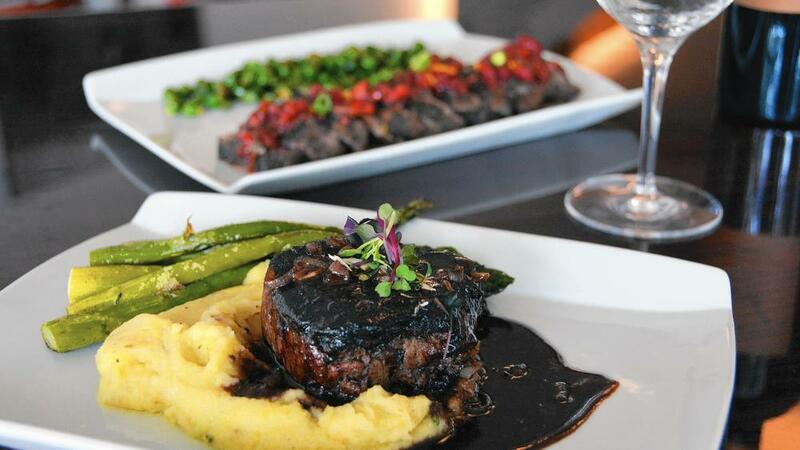 Every Tuesday when you purchase any steak entree enjoy an appetizer on the house. Sounds good to me! Happy Hour all Night on Thursdays! 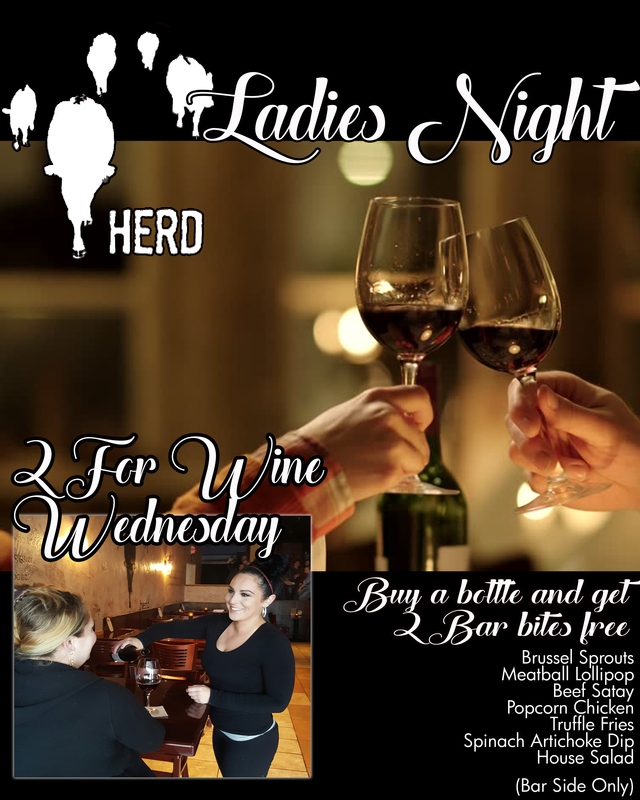 Every Thursday night at Herd happy hour is never ending! Come in and enjoy our all night happy hour, you will not find this type of fun anywhere else! Friday is our Late Happy HOUR. 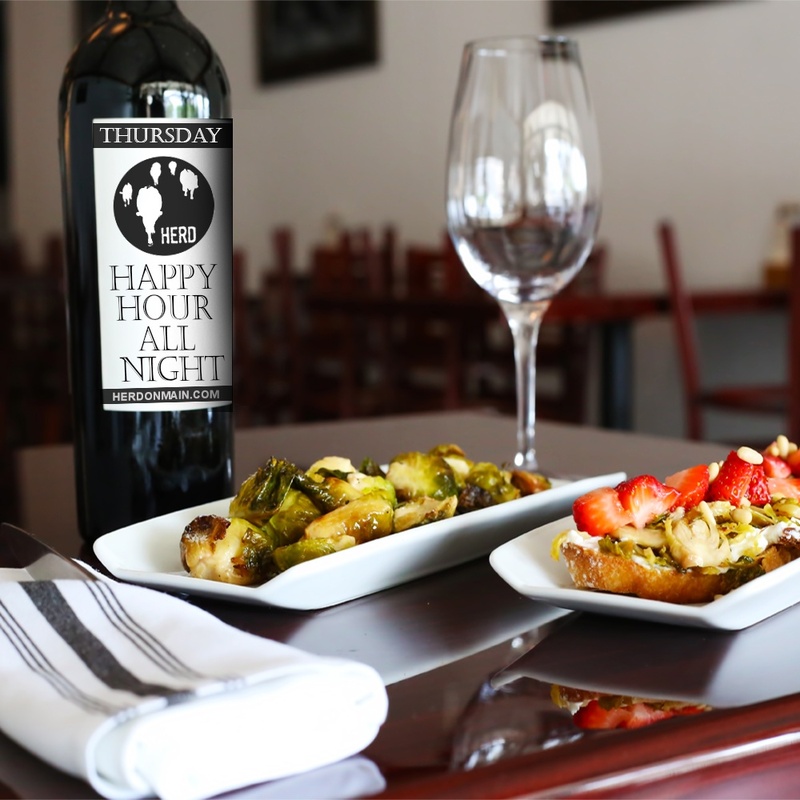 Every Friday Night we will be running a late Happy Hour from 9:30 until 11PM for all you late nighters!